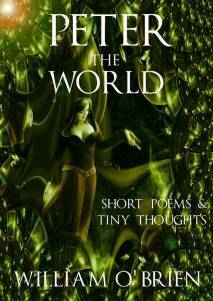 “Peter: The World – Short Poems and Tiny Thoughts” is a collection of 26 poems based upon the surreal, magical story Peter: A Darkened Fairytale. Inside these pages, you will find whimsical poems of ‘The Light’ and forewarning of ‘The Dark’. The tale of Peter has inspired several books of which Peter: The World is the third publication and there are many more adventures soon to be released. Interview with an Author – William O’Brien. DEAD MEDIUM. New & Improved. DEAD MEDIUM. New & Improved..
Coming Soon! DEAD MEDIUM RE-EDITED. Coming Soon! DEAD MEDIUM RE-EDITED..